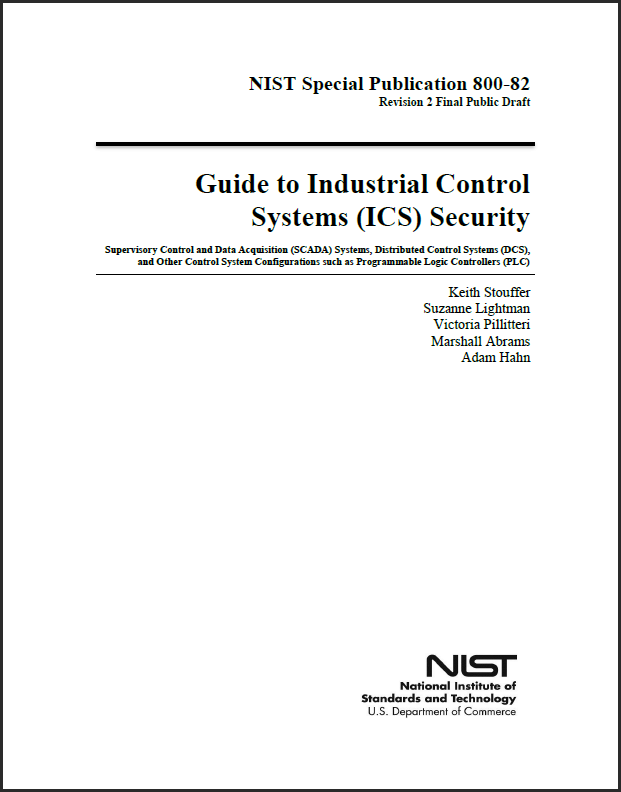 NIST SP800-82, Guide to Industrial Control Systems (ICS) Security, has been a key, seminal guide for those of us working in ICS security. The original guide was published as a "final" version in June 2011. Revision 1 to the 800-82 series went final in May 2013. 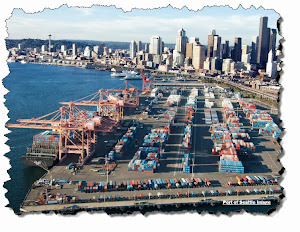 In May 2014 the Initial Public Draft of Revision 2 was promulgated for comment. I wrote a blog about this initial public draft on May 20, 2014 and encouraged interested parties to submit their comments. A few months ago I wrote an article for SearchSecurity on the Evolution of SP 800-82. As part of this article I researched the history of this document and its development and ultimately prepared the Visio timeline shown below. One thing I was sure to do was to obtain Keith Stouffer's (principal author of SP800-82 series) approval on the timeline accuracy. 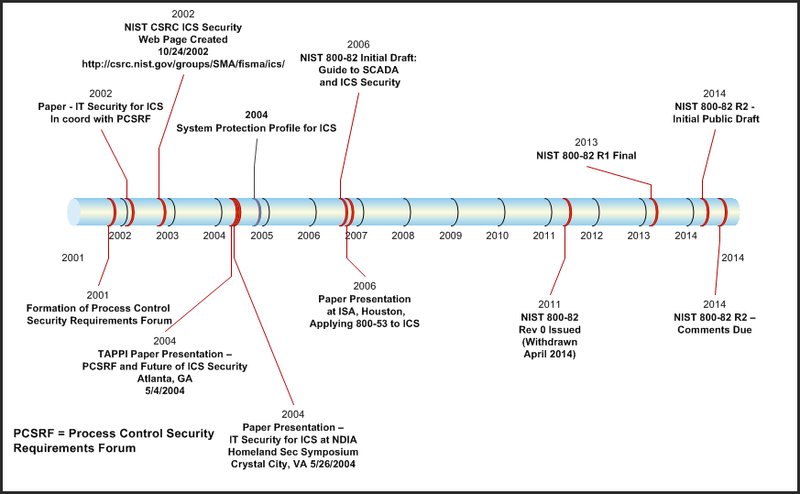 An ICS overlay for NIST SP800-53, Revision 4 security controls that provides tailored security control baselines for Low, Moderate, and High Impact ICS. Of note, there is a link at the NIST site for a mark up showing the changes between the first draft to the second and final draft. The public comment period is from February 9th to March 9th, 2015 (on month). You can email your comments to nist800-82rev2comments@nist.gov. You are encouraged to use a comment template form (Excel File) to collect your feedback for submittal. Your comments are requested to make this a better, more thorough document for the industry. Thank you!